It’s important to recognize the accomplishments of our peers. To celebrate our group and individual successes. They are worth celebrating! Too often we forget to acknowledge how far we’ve come and an award ceremony lets us celebrate that distance we covered on our life journey. We need to celebrate how GOOD at life we really are and how FUN life really is! Yet, just as often as we are lifting up one of us, I often wonder if the people that lift up others realize how important and deserving they are of an award. Are we leaving out the most important people by lifting up a person who is the face of the work? Many of these individual accomplishments were far from individual successes. They aren’t an individual’s dream, they are the dream of a team. The success of the individual is the result of a sustained body of work of a team over time. Each success is comprised of sweat, work and planning from a whole team of people that believe in the dream. If you graduated this year, how do you let those teachers, administrators, tutors, coaches, relatives, and friends know that your diploma is the culmination of hours of their hard work? Did they get a thank you, an award? If you were MVP, how do you let your teammates, coaches, trainers, family, and friends know that your success is thanks to them? Did you write them a note, post it on Facebook? These people aren’t participants, they aren’t deserving of a passive “Participant” ribbon, they are active workers, shaping your success, their success, and the success of the group. 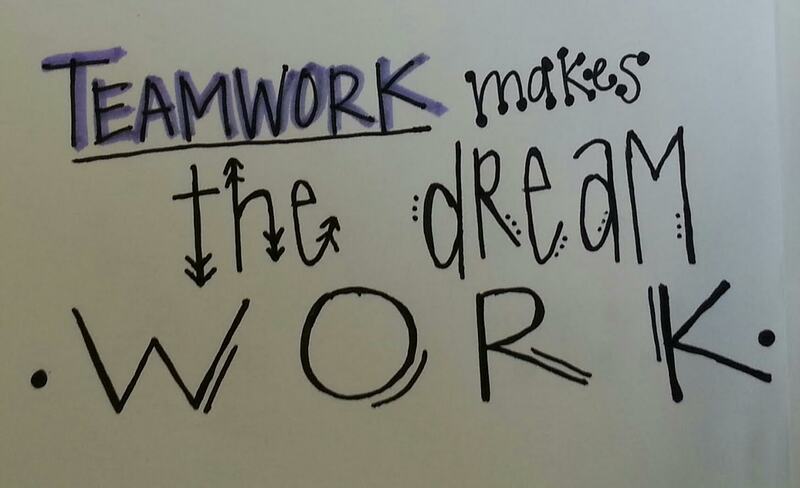 So before, during, and after our award ceremonies this year, let’s not forget to equally acknowledge that it takes TEAMWORK to make the DREAMWORK! This entry was posted in Character Development, Leadership and tagged #accomplisments, #celebrate, #celebratesuccesses, #JLLB, #juniorleague, #leadership, #teams, #teamwork, #theconfidencepost. Bookmark the permalink.